Flight to Nosy Be. Stopover in Reunion, Dzaoudzi or Antananarivo, depending on the chosen airline. Overnight stay on board or accommodation with breakfast at the COMBAVA Hotel in Antananarivo (with additional charges). Arrival at Nosy Be, depending on flight schedules. Reception at the airport, then transfer to the hotel. Free day to enjoy the beach and the hotel. Half board accommodation at Manga Soa Lodge. 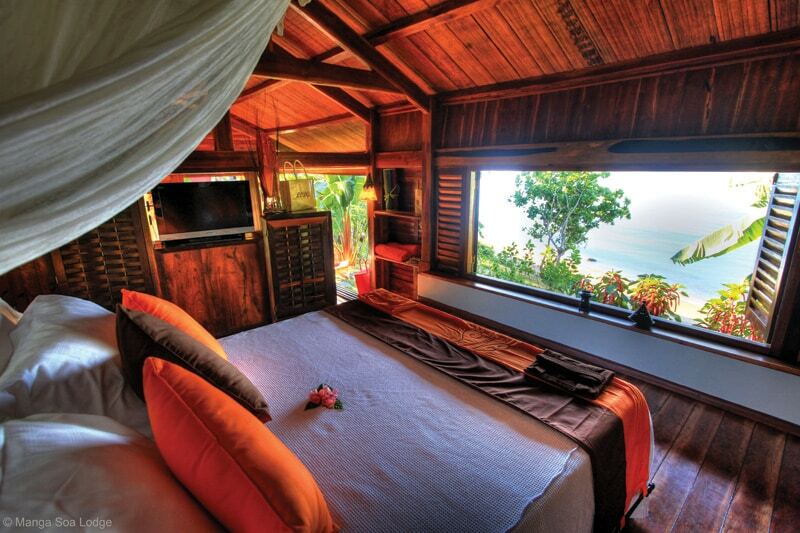 Manga Soa Lodge was built on the beautiful bay of Befefika, in the middle of a generous nature. In addition to its five prestigious lodges, lodge suite and villa, it has a swimming pool, a restaurant and a private beach. Here, luxury rhymes with serenity. The lodges and the villa are set up in a way to ensure maximum comfort: a living room, a queen or king size bed, a minibar, a television and tea service in rooms, a mosquito net, a private bathroom … The rooms have been set up in height to appreciate the magnificent view over the bay of Befefika. They have a rosewood-based refined decoration that blends marvelously with furniture from Indonesia or from Sakalava workshops, a testimony to the rich Malagasy cultural heritage. Its restaurant can accommodate 60 guests and serves delicious traditional Malagasy dishes and some classic flavors of the world, always made with fresh products. 153 Km / Secondary Road + Tarmac road / around 4 h to 5 h depending on the stops – including 1 hour of secondary road – 45 minutes of high-speed boat transfer. Heading to the Millot plantation in Ambanja. 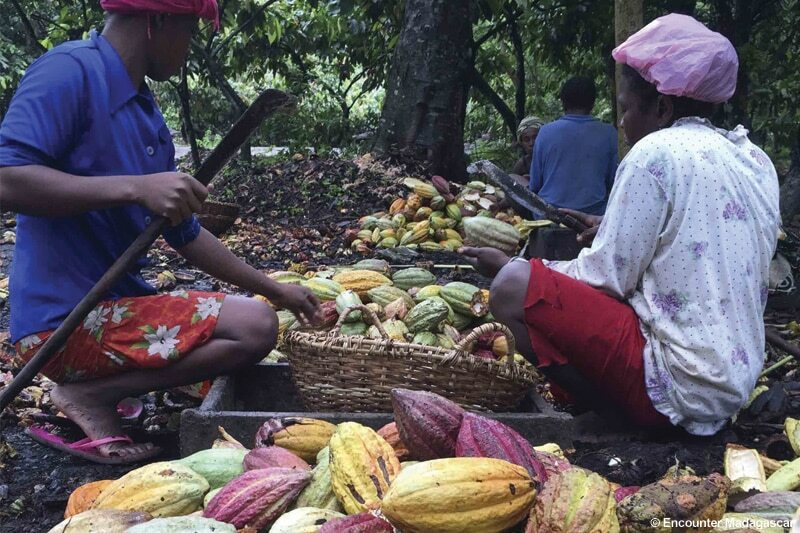 Visit led by a specialist to discover the plantations as well as the treatments and conditioning of the cocoa beans. With their world-wide reputation, the Millot plantation supplies the greatest chocolatiers. It has existed for more than a century. A century of tradition and dedication to quality and excellence. You will discover how to grow a rare variety of cocoa or how – over the course of cultivation, harvesting and preparation – these cocoa pods have become one of the best cocoas on the planet. The greatest starred chefs have come to the Millot plantation to discover the secrets of this rare quality cocoa. You will also see how, with patience, the women sort the pink berries with a brush, grain by grain. The secret of the four spices and that of the black, white and green peppers will be revealed to you. You will live a hundred-year-old tradition and you will stop to see the primary school and the village of the employees of the plantation. You will finally discover the true meaning of fair trade. Lunch at the Plantation. Moving on to Ankarana. Half-board accommodation at Iharana Bush Camp. In the morning, you will explore the Tsingy de l’Ankarana through a magnificent “aerial” walk on the Tsingy roof. The panorama is just stunning. On the way, a few belvederes are set up to allow you to appreciate the best viewpoints. 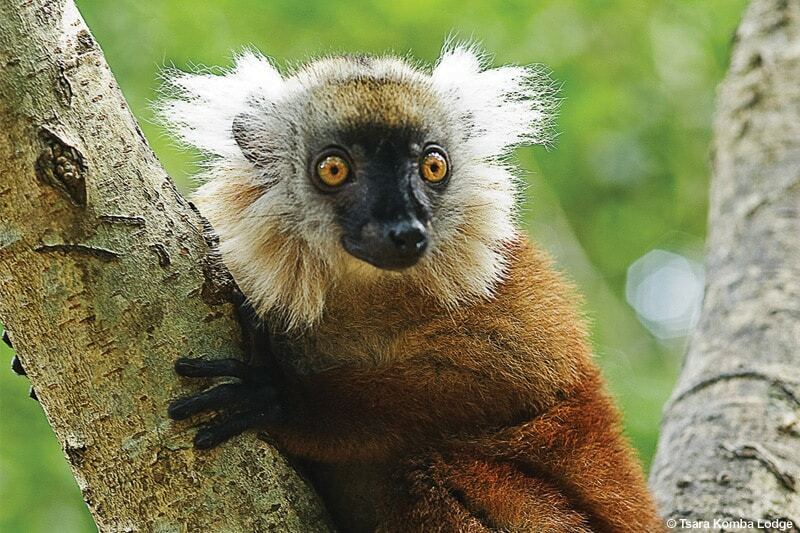 If you are lucky, you will come across some groups of crowned lemurs, an endemic species from northern Madagascar. 3-hour to 3-and-a-half-hour walk depending on the stops, 150m of ascending elevation, average difficulty, hiking trail, arranged and secured trails. People suffering from dizziness should not do this. Make sure to pack: good walking shoes or good sneakers, items to protect from the sun, insect repellent, headlamps and water bottle. Lunch at the Bush Camp. In the afternoon, we head out for another walk to the Mandresy cave. We reach the entrance of Mandresy cave after a short walk through some typical Sakalava dwellings (15 to 20 min walk from the Bush Camp). 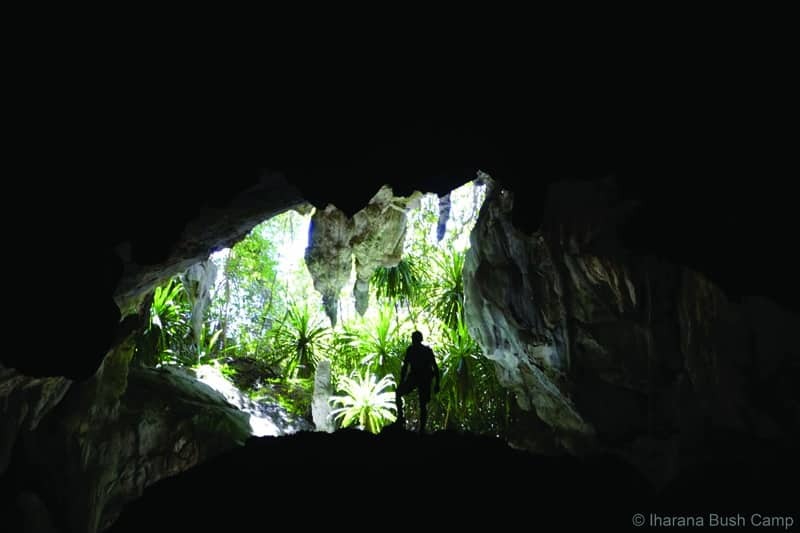 With our headlamps, we will slowly visit the galleries of the Tsingy. The Mandresy cave has magnificent cavities with large rooms and impressive concretions. It is also home to abundant and very special wildlife: species of bats and some reptiles. Underground rivers hide crayfish and some endemic freshwater fish in the area. Containing places of worship and burials, the caves have a sacred character for the Antankarana. Towards the middle of the 17th century, they served as a refuge for the local population during the inter-ethnic invasion wars. Many of them lost their lives. Half board accommodation in Iharana Bush Camp. From Iharana, discover different life scenes of the Malagasy bush with a guide. The most beautiful way to discover the Sakalava villages is undoubtedly the cycling tour. Very nice excursion through the plantations of sugar canes, corn, cassava or pepper. A unique opportunity to meet the villagers and share their daily lives. We will take the time to stop to discuss and exchange with the villagers in each village. A true experience of encounters and immersion. 03h to 03h30 of bike, laterite path, flat, without difference in altitude, easy walk. Make sure to pack: full shoes or good sneakers, sun protection effects, mosquito repellent, water bottle. Free afternoon. Enjoy the beauty of the natural site as well as the bush camp. Also, enjoy a massage session in front of the Tsingy. In the late afternoon, enjoy an exquisite sunset while sipping your aperitif. Half board accommodation at Iharana Bush Camp. Departure for Ankify after breakfast. 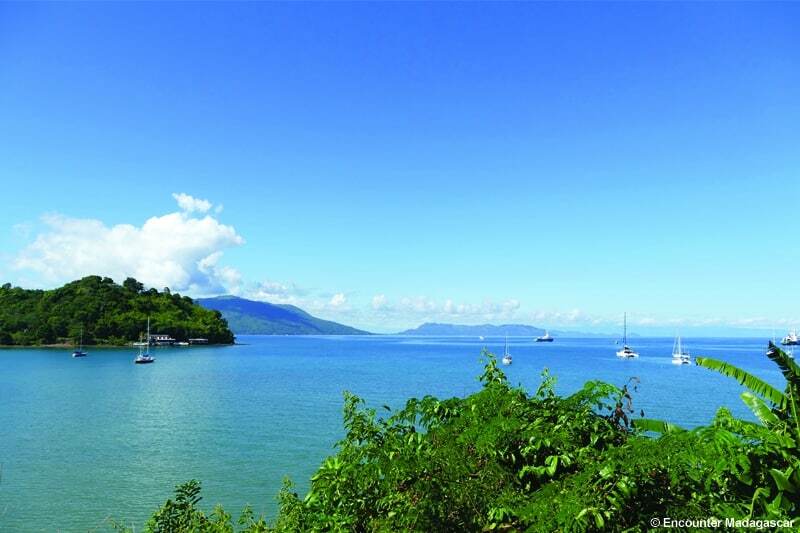 There, you will board a speedboat for a twenty to thirty-minute crossing to Nosy Komba. Installation at Tsara Komba Lodge. Free time at Tsara Komba Lodge. Depending on flight schedules, transfer to Nosy Be airport. Flight to Paris, overnight stay on board. If stopover in Antananarivo, additional charges apply for day-use or overnight. We highly recommend Air Austral’s Paris-Nosy Be direct flight. If you fly with Air Madagascar, you will get to Nosy-Be late at night. 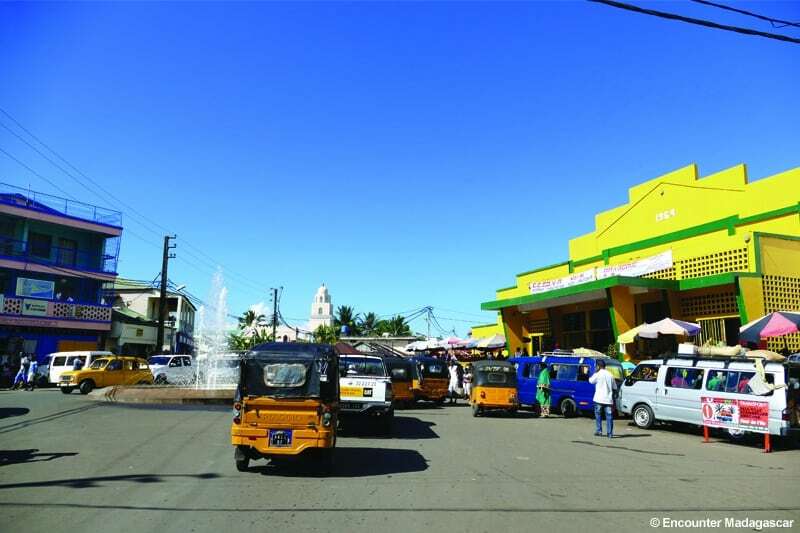 With another airline company, you have to spend your first night in Tana and take a connecting flight the next day. The program depends on the international flights’schedule. It can be changed accordingly. The Tsingy trails can be quite physical and technical. It is not recommended to people suffering from dizziness or claustrophobia. Make sure to pack good hiking shoes. Also, pack enough water and a good mosquito repellent. Whale sharks can be observed from October to mid-December. Millot Plantation is closed from February 1 to March 1. Season: April to December. Iharana Bush Camp is closed from December, 19th to end of March. Experience nature in an authentic way at Iharana Bush Camp: original cabanas, exceptional strolls, a breathtaking natural scenery, unusual activities …. Exploring the bush by bike, discovering the everyday life of the Antakarana and Sakalava tribes. Indescribable exchanges, a lot of emotions ahead. 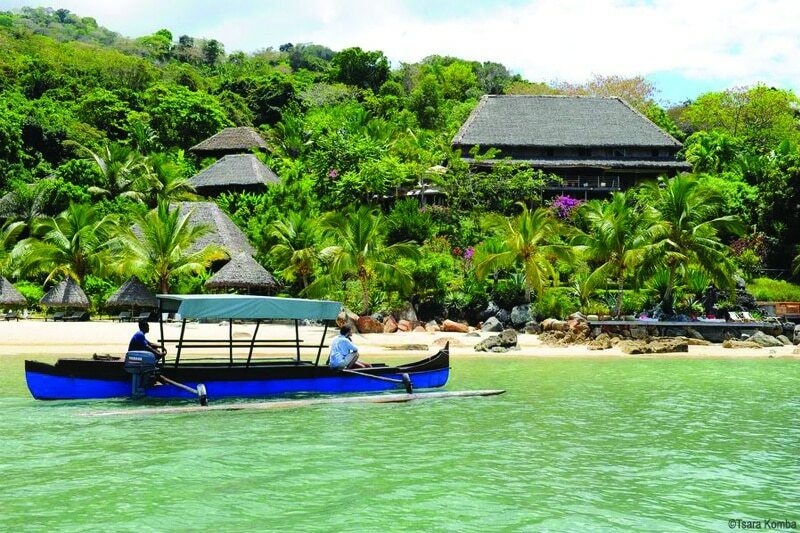 Let yourself be seduced by the charms of the North of Madagascar. 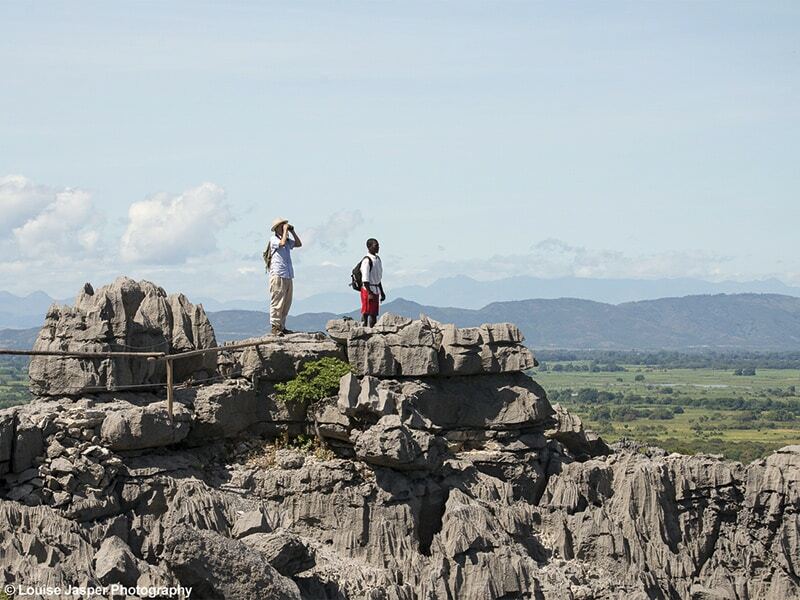 Stay in the heart of one of Madagascar’s biggest geological wonders: the Tsingy of Ankarana. Explore its beautiful landscapes and discover the people of the North. 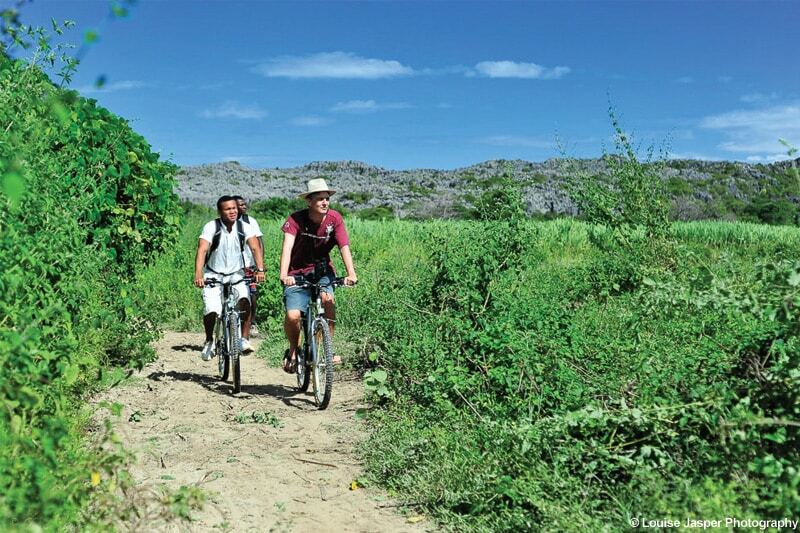 Every day offers its share of unique adventures, from the Tsingy rooftop to the bicycle ride in the middle of the plantations. Then, join the island of Lemurs for a stay that you can organize to satisfy your desires: scuba diving, snorkeling, hiking, safari in the heart of the ocean to find marine mammals, lazing on the beach... In summary, a unique combination of two exceptional lodges: Iharana, an exclusive Bush Camp, and Tsara Komba, one of the most beautiful lodges in the North of Madagascar. A mix of emotions and unusual experiences!